Designer, author and small business entrepreneur Kate Davies has launched a new yarn in her own range, the first to be available in yarn stores rather than just direct from Kate Davies' Shop. Ard Thir (with apologies to Davies that I haven't been able to add the accent on the 'a' and 'I') is an aran-weight yarn that Davies designed in ten colours to represent the Scottish winter landscape. In her blog Davies wrote "each of the ten shades I've designed is a subtle, muted mark; each possesses its own depth and tonal variety; some can be combined into intriguing gradients, and all work together harmoniously as a range." Davies worked with Fyberspates to produce Ard Thir. 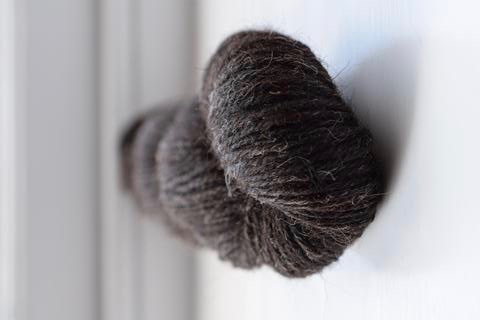 The yarn is a blend of 60% Peruvian Highland Wool and 40% Superfine Alpaca. Davies and Fyberspates say that Ard Thir is "perfect for texture, cables and colourwork" and although it's sold "as an Aran weight, it can be knitted across quite a broad range of gauges". Here's where it gets a little complicated. The hat is downloadable on Ravelry for £4.98. 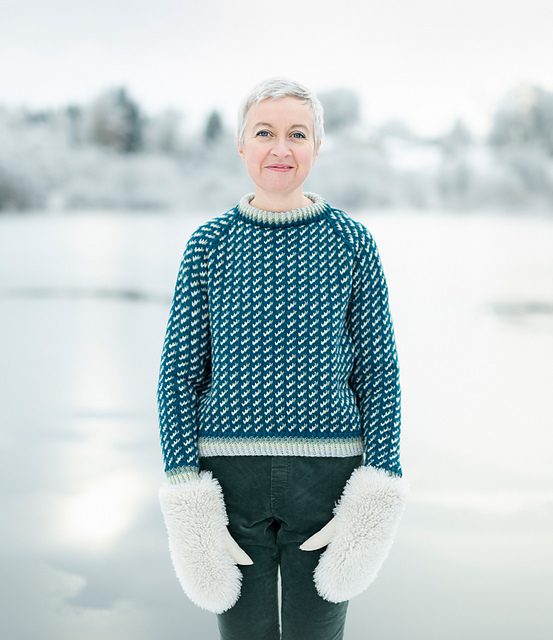 The pullover is at the moment only available to people who have subscribed to Davies' Knitting Season club. It began on January 11th but places are still available priced at £40 each. Rachel Atkinson, aka a real life daughter of a shepherd, has renamed her Hebridean/Zwartbles range. 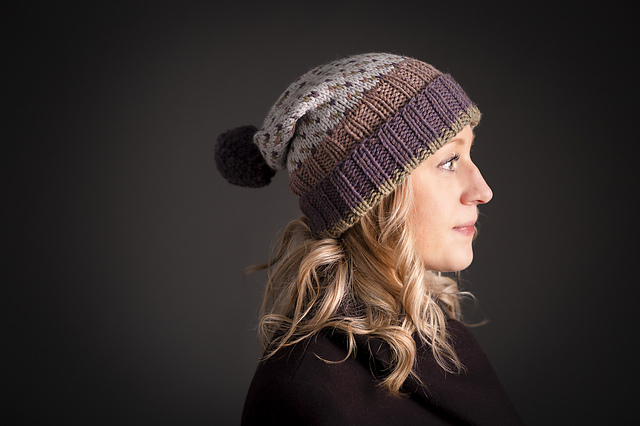 It's now called Heritage, and is available in both 4ply and DK weights. The July 2017 clip is still available, being a mix of 75% Hebridean wool from Escrick Park Estate, and 25% Zwartbles from Exmoor. 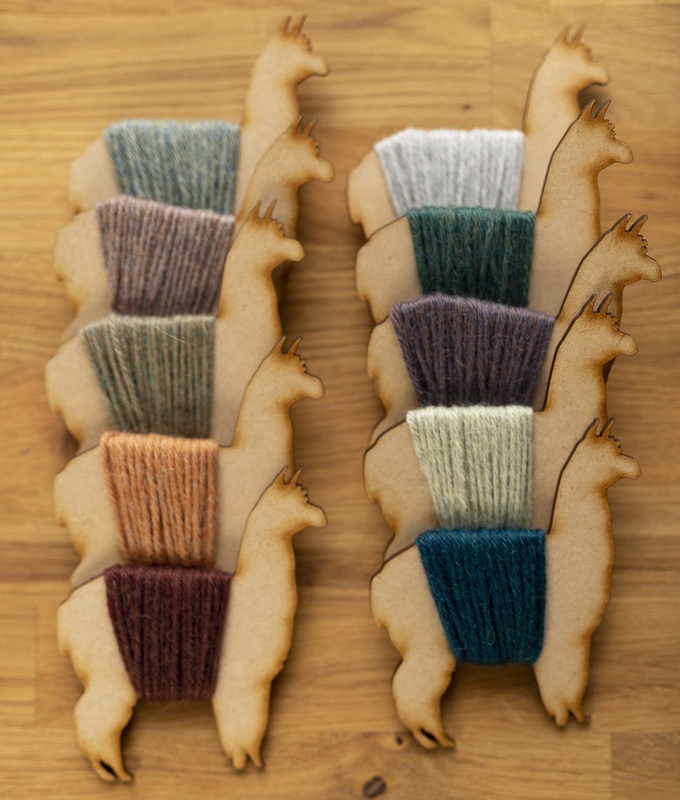 Last year saw former Rowan designer Marie Wallin launch her own covetable yarn range British Breeds. 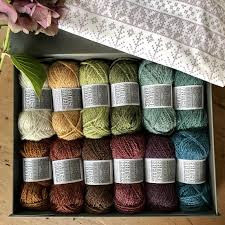 Pre-orders of a gift box containing patterns and a 25g 4ply ball of each of the 12 shades sold out quickly as have five of the shades, which are £5.50 per ball plus P&P. The yarn took two years for Wallin to develop with spinner John Arbon and suits Wallin's delicate Fair Isle designs. Now Wallin has announced that a new batch of British Breeds is on the way along with four new colours to add to the range. For 2019 she is planning Journeyman, a book of men's Fair Isle designs using British Breeds, plus a collection called Homestead, which will consist of six designs again using British Breeds. For those who missed out first time around the British Breeds gift box will go on sale again, this time including the four new shades: foxglove, blossom, silver birch and pale oak. The beginning of February is traditionally the time that yarn companies and pattern houses launch their Spring/Summer collections. 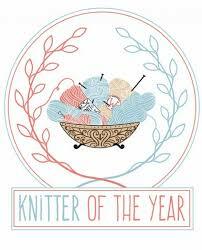 Watch this space for more details and like A Woolly Yarn's Facebook page to find out when a new blog post is published. Are you a yarn maker or designer living in Britain? 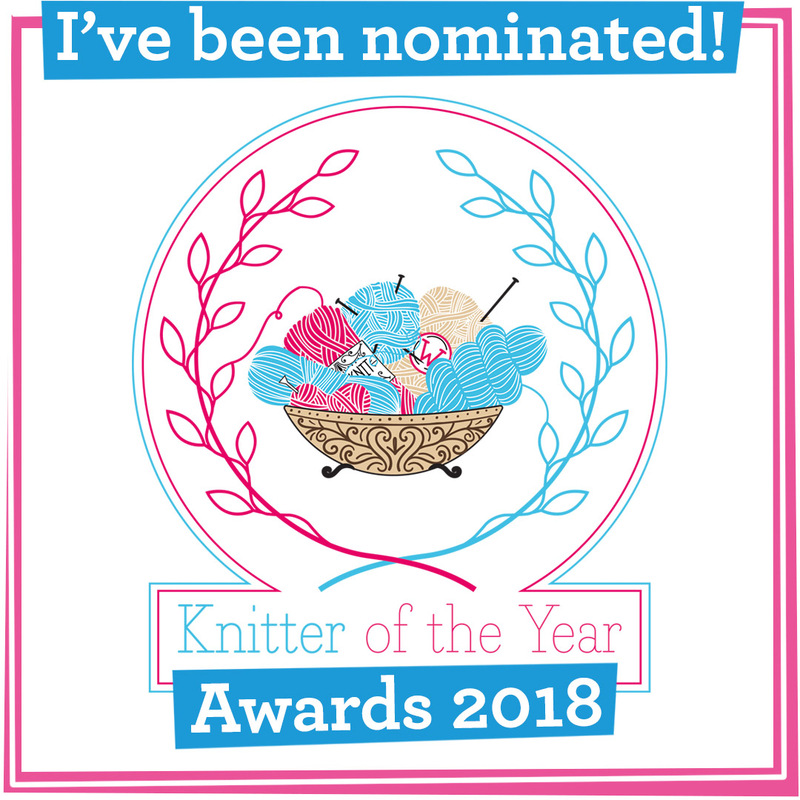 If you'd like an impartial review of your work for the A Woolly Yarn community please get it touch by emailing penjenkins@gmail.com.